Symphytum grandiflorum is typically grown in borders and shade gardens for its dense attractive foliage and its spring flowers. It makes an excellent candidate for a woodland garden, shade garden, cottage garden or wildflower meadow where plants can form an attractive ground cover over time. It can grow in very shady positions. To order this plant please contact us balkanecologyproject@gmail.com. No reports of toxicity have been seen for this species, but the following reports have been seen for S. officinale. 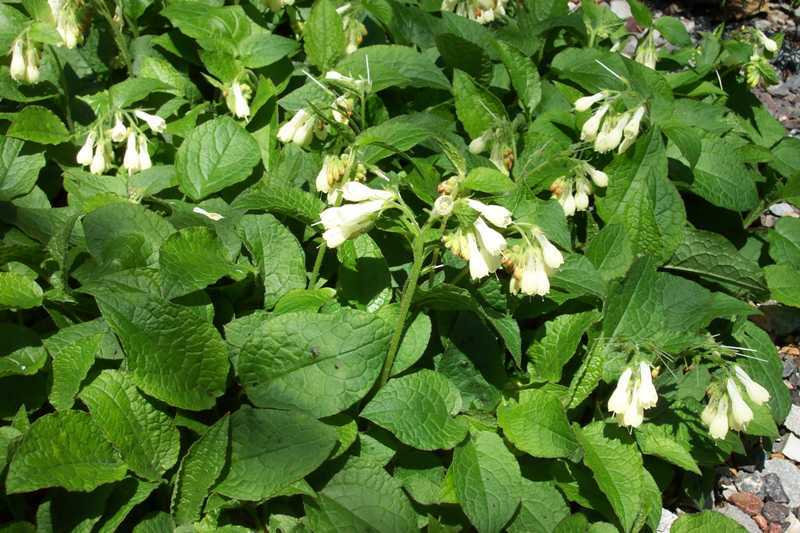 ​This plant contains small quantities of a toxic alkaloid which can have a cumulative effect upon the liver. Largest concentrations are found in the roots, leaves contain higher quantities of the alkaloid as they grow older and young leaves contain almost none. Most people would have to consume very large quantities of the plant in order to do any harm, though anyone with liver problems should obviously be more cautious. In general, the health-promoting properties of the plant probably far outweigh any possible disbenefits, especially if only the younger leaves are used. ​It is in flower from April - May. The flowers are hermaphrodite (have both male and female organs) and are pollinated by bees. habit: Plants form extensive patches, rooting as it spreads with creeping rhizomes. A great bee plant - the usual pollinators are the common carder bumble bee, honey bee, and red mason bee. A good, and sometimes rampant, ground cover plant for a shady border or woodland. Can spread aggressively by creeping rhizomes.